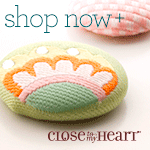 My first Review of Close To My Heart's Workshop on the Go. How will it go? Back Country Work shop on the Go So is this as fast and as easy as I have been told? I plan to find out tomorrow and let you know. Looks fun anyways.